It’s pretty simple. Network marketing isn’t easy, but it is no more difficult than any other job. Treat it like a real job and you will get real worlds results. If you give up after your friends and family members turn you down for your “hot business opportunity” then you’re not going to experience network marketing success… ever! A product that is beneficial and unique, and company that operates with integrity. Here are two network marketing success tips that I can give. I will break down network marketing success tips into two categories, global and local. Think of global as your team. Your down line if you will. In a MLM (multi level marketing) model these are the people that join under you, as a group or as a whole. Local would refer to the individual people starting with yourself and on an individual basis. For the purpose of this article we will start with the local or individual and work our way to the global and group. Local network marketing success tips. These 4 individual network marketing success tips are where you hone your marketing skills. Learn how to do good keyword research. This step is key to good SEO (search engine optimization) and content building. Generate leads to your sites by writing articles, blogs, ads, and videos. Get as much content out in front of your readers as you can. Convert those leads to customers or down line members. Once you get a lead make contact as soon as possible whether typing an email or letting an auto responder handle it for you. Network marketing success tips for the group. Global network marketing success tips are where you strengthen your team’s marketing skills. “Paying it forward” passes your skills down the line to the next person; they in turn pass on to the next and so on. Have a professional presence to help brand your company as an expert. By branding yourself and your company you gain credibility. Know your product, service, or content. What does it do, how does it do it, what information will be helpful. Know your target market. Who is the product for and how will it help them. Keep detailed records of customers. This will make future sales easier. Keep detailed records on your down line. This will help you praise the ones doing well and help guide the ones that need a boost. Far too often, people perceive this type of marketing to be a get rich quick scheme or an immediate solution to financial freedom. Although many people have generated substantial income quickly in network marketing, no one has done so with only luck on their side. In order to succeed in your marketing business you must treat it as a business. Makes sense, right? Putting yourself in a professional mindset will certainly yield professional results. While network marketing businesses can be exciting and fun, it is extremely important to keep your end goal of financial freedom in mind. Achieving your long-term goals can prove to be much easier if you set short-term goals. Goal setting is a fantastic method that can be used to keep your business on course. Assuming a professional mindset is among the most valuable network marketing success tips. Recruit Who’s Right for You! If you’re looking for network marketing success tips, you are probably looking for strategies used to help build your downline. In order to build a successful downline, it is vital to think of your downline as a team. In order for a team to succeed, it must have committed and hardworking leaders. Too many times network marketers become content with recruiting family members and product users. While recruiting family members and close friends is a great way to start, this well obviously will eventually run dry. And as for product users, while they may keep your business afloat they are not propelling your business forward. The use of the internet is actually one of the more underutilized marketing success tips. While most of the success stories in network marketing’s history were written offline, the name of the game has changed. The World Wide Web allows marketers to promote their products and business model to a seemingly limitless number of potential internet consumers. Network Marketing Success, how do u build a huge downline fast? [Question] – Can Mike Dillard, or Ann Seig or Kimball Roundy provide the anwser, or are these people phony liars of their success. [Answer 1] – These people already have huge mailing lists so whatever program they jumped into, people will follow right away. If I were you I would work on establishing yourself as an expert and building your own list. 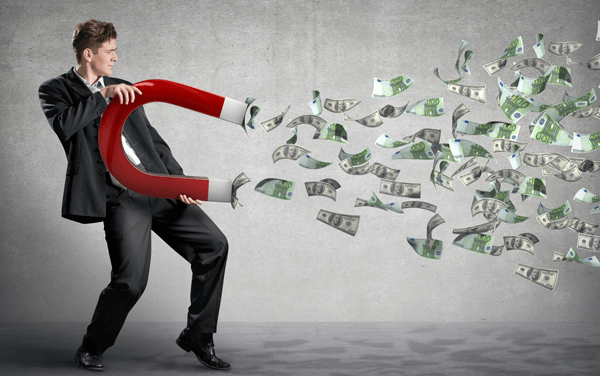 Then you can build a huge downline in no time. Consider how effectively you have worked on your personal development. If you haven’t then it is time to face yourself in the mirror and work on your strengths and weaknesses. Get a personal development coach or some personal development training programs. Get involved with a company that you believe in 100% and has products that really make a difference in people’s lives. If you are uncertain about your company’s products or whether or not you feel they operate with integrity, then contact us and we can get you a risk-free, 7-day Kyani trial pack (offer only available in the USA due to customs regulations). 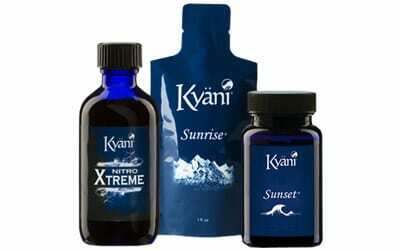 We absolutely believe that with Kyani and your personal development growth, you can be a network marketing success!